Under the Sea - Journey of the Little Mermaid is a fun "dark ride" in the Magic Kingdom. However, the part of the attraction that stands out to me is the exterior of the building. It is one of the most detailed structures to be found in all of Walt Disney World. The rock work that makes up Prince Eric's Castle is really amazing. 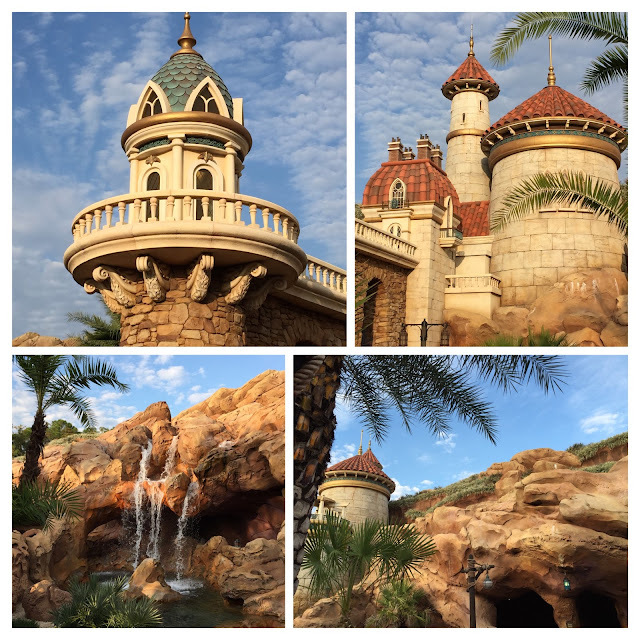 I took these pictures this afternoon while my tour guests were meeting Ariel in her grotto.